I just had 170 students revise a piece of writing, and none of them complained about it. Let me qualify that. None of them groaned aloud obnoxiously, as if the assignment was causing them physical pain. For the most part, they completed their second draft with ease and some even expressed a mild delight that they made their writing a little better. A few voluntarily asked me for suggestions about how to word certain phrases. A few students expressed grave concern that they had exceeded the word limit (the accidentally wrote more than they were required). This is a dramatic contrast to how my former students used to behave when they were presented with the notion that their writing needed to be fixed. Typically, the mere suggestion that they were not yet done with a piece of writing was met with sneers of derision. 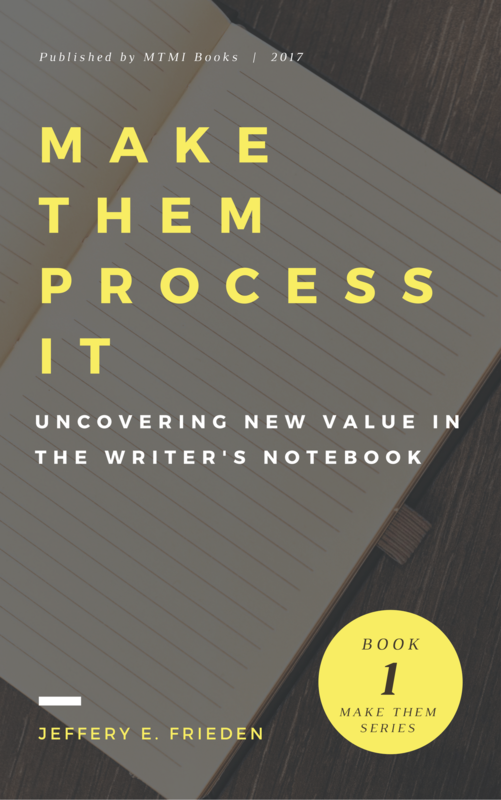 I had to drag them a long through what they thought was an agonizing process of revisiting a piece of writing they believed they had completed. Not this time. Actually, not in recent memory. What, you may ask, has made the difference? Yesterday was the first day of school. I was ready. It went very well. My students had a good time. Even though it was good, I’m tired. So tired. I even had quite a bit of coffee. It didn’t matter. I’m. Just. Tired. I wanted to have something more profound to say. Something insightful. Something inspiring. How about you? How did the first day of school in Fall 2017 go? Share in the comment section below. You’re about to get into today’s lesson: revising a first draft. Before you say the words, you can feel the collective groan gathering strength. When you finally come out with it, they are ready to revolt: “Today we’re going to revise your writing assignment!” And there it is. They complain. They grunt violently. They look for pitchforks and other pointy objects to take up against you. And one student in the corner quietly Snapchats a selfie of an ice bag on her head. It’s clear. They don’t want to do this. As I see it, a big problem is students think they are done with their writing. In the eyes of each student writer, what they put on paper looks “good enough.” They are done. If they understand it, then there’s nothing to revise. But even when I get them to see that their writing needs further work, all I get from them are superficial changes. They may change a punctuation mark or two and a grammar mistake, but they almost never revise for content and purpose. I’m going to be a little vulnerable. Early in my career, the most common result produced from the flow of my writing instruction was students developing an aversion to writing. Students weren’t rewarded unless they conformed to the high-stakes scoring guide and assignment parameters. At the same time, students were engaging in all kinds of low-stakes writing that was rewarding, to them at least: social media and text messaging. Talking with other teachers over the years showed me that this was a common experience. Most of us struggle to get students motivated to write. And most of us aren’t even asking for students to like the academic writing we assign. We want them to maybe appreciate it or see some small value in how it develops them into better students on their way to college. But that rarely develops in students. Why?